Last season saw the San Antonio Spurs win 67 games, but they were a team that most people were not talking about since the Golden State Warriors set an NBA single-season record for victories with 73. The Spurs were poised for another title run until they ran into the Oklahoma City Thunder in the Western Conference Semifinals who knocked them out in six games. The loss to the Thunder signaled the end for power forward Tim Duncan with the San Antonio Spurs. For the last 19 seasons Duncan has been the face on Spurs franchise. With Duncan leading the way, the Spurs never missed the playoffs en route to winning five NBA Championships. But under the guidance of head coach Gregg Popovich, don’t expect the Spurs to slow down now that Duncan has retired. In order to attempt to replace Duncan, the Spurs signed free agent center Pau Gasol. In 15 NBA seasons Gasol has averaged 18.2 points, 9.5 rebounds, and 3.3 assists as his skill set is an ideal fit for the Spurs system. Gasol is also a two-time NBA Champion and his leadership and knowledge of the game will be welcomed with open arms in San Antonio. Gasol will team in the Spurs starting front court with small forward Kawhi Leonard and power forward LaMarcus Aldridge to give San Antonio one of the toughest trios in the NBA to match up against. In each of Leonard’s five seasons with the Spurs, his numbers have improved and he is becoming one of the best two-way players in the league. Last year Leonard averaged 21.2 points, 6.8 rebounds, and 1.8 steals as he finished second in the NBA’s MVP voting. Leonard should once again be a force to be reckoned with this time around. As for Aldridge, his numbers were slightly down in his first year with the Spurs which was the result of the constant ball movement that is orchestrated in San Antonio. However you can pencil in Aldridge for another All-Star caliber season, and he should also benefit from playing alongside Gasol who is one of the better passing big men in the NBA. Veteran point guard Tony Parker has seen his fair share of the NBA’s grind as he is set to begin his 15th season with the Spurs. And even at the age of 34, Parker isn’t showing any signs of slowing down as he is still one of better guards in the NBA when it comes to penetration. Veteran shooting guard Manu Ginobili is 39-years of age, but he will still be a vital member coming off of the bench for San Antonio, while shooting guard Danny Green is looking to bounce back after a subpar campaign last season from downtown. Power forward David Lee is set to begin his first season with the Spurs, and as he has averaged 14.2 points, along with 9.2 rebounds during his 11-year NBA career, he will be a valuable player coming off of the bench for the Spurs. The Spurs are one of the most complete teams in the NBA, and being that they are led by Popovich, I don’t expect this team to take their eyes off of the prize as they will once again be a very formidable team when the playoffs roll around. The past five years have been a rough go at it for the Dallas Mavericks. The Mavericks do have four playoff appearances over that stretch, but they’ve been unable to advance past the first round of the NBA Playoffs. After winning the NBA Championship in 2011, Mavericks owner Mark Cuban has been hell bent on getting back to the promised land. And after Cuban and the Mavs were spurned several times recently in free agency, they could be ready to re-emerge as a contender in the Western Conference. Power forward Dirk Nowitzki is set to begin his 19th season with the Mavericks and he is still playing at a quality level. Nowitzki averaged 18.3 points per contest last season and you can expect another quality campaign from him due to the talent that has been assembled around him. In four seasons with the Golden State Warriors, small forward Harrison Barnes saw his points per game average increase, but he was still under utilized. With the Warriors, Barnes took a backseat to shooting guard Klay Thompson and point guard Steph Curry. But after the Warriors signed small forward Kevin Durant over the summer, Barnes became an afterthought there. And once Barnes hit free agency, the Mavs welcomed him with open arms to the tune of $94 million dollars over the next four years. Barnes will definitely see more shots per game and he should be able to average at least 16 points per game in Dallas. The Mavericks also landed another player formerly with the Warriors in center Andrew Bogut. The Mavericks acquired Bogut from the Warriors over the summer, and like Barnes, he saw a dip in his production there. Bogut won’t look to be a scorer in Dallas, but what you can expect from him is a solid rebounder, while he is also a quality facilitator from the center position. The summer of 2015 saw the Mavericks sign shooting guard Wesley Matthews, but he spent his first season in Dallas attempting to get back on track after he ruptured his Achilles tendon in the previous season as a member of the Portland Trail Blazers. However Matthews is now healthy and he should able to contribute as a solid wing player; especially at the defensive end of the floor. In 65 games with the Mavericks last season, point guard Deron Williams showed flashes of what made him a three-time NBA All-Star. And even at the age of 32, if Williams is once again motivated, it will be a huge plus for the Mavericks. Mavericks head coach Rick Carlisle is one of the best in the business when it comes to dealing with different personalities while getting the most out of his team. 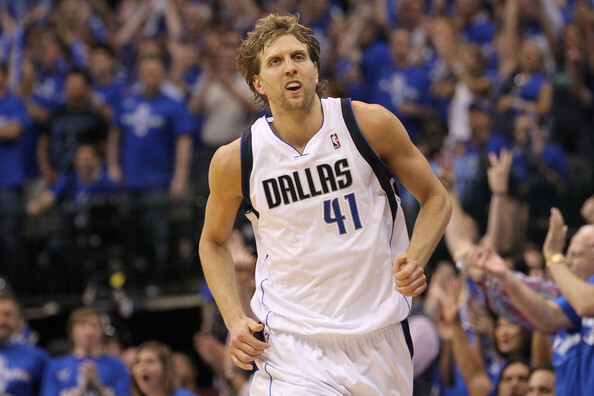 And the Mavericks could be set up to have a very productive NBA campaign. The past six NBA seasons have seen the Memphis Grizzlies be the little engine that could of the Western Conference. The Grizzlies have made the playoffs in each of the last six years, and although that they have been unable to advance to the NBA Finals, they continue to be a tough out in the postseason. But things are once again changing for the Memphis Grizzlies as after compiling a 147-99 record over the last three years, Dave Joerger was fired as the team’s head coach. Joerger was replaced in Memphis by Dave Fizdale who has spent the last 14 years as an assistant coach in the NBA; most notably as an assistant coach with the Miami Heat for the last nine seasons. Fizdale has inherited a veteran team that he must find a way to keep healthy for the riggers of the long haul that is the regular season in the NBA. A broken foot forced center Marc Gasol to miss 26 games last year, along with the playoffs. Gasol is a catalyst for the Grizzlies at both ends of the floor as he is an all-around player. In 2013, Gasol was the NBA’s Defensive Player of the Year, while in each of the last four seasons, he has averaged nearly 4 assists per contest. Gasol has good court vision which can see him pass the basketball from the top of the key as well as in the post equally which always keeps an opposing defense on its toes. 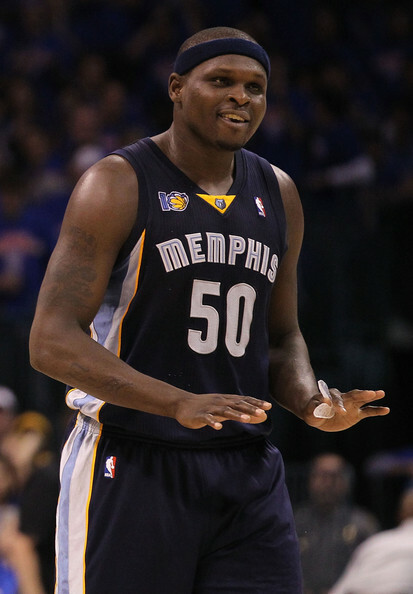 Like Gasol, power forward Zach Randolph has been a recent fixture for Grizzlies basketball. In seven seasons in Memphis, Randolph has averaged 17.2 rebounds and 10.5 rebounds as along with Gasol, they give the Grizzlies one of the better front courts in the NBA. But at the age of 35, Randolph has 15 years worth of mileage on his legs from playing in the NBA. Fizdale understands that and he is looking to preserve Randolph which will see him come off of the bench this year, but he can still be extremely effective in that role. Point guard Mike Conley Jr. has spent his entire nine-year NBA career with the Grizzlies and this past summer saw him become a very rich man as he signed a five-year, $153 million deal to stay in Memphis as it was one of the largest contracts in league history. For Conley’s career he has averaged 13.6 points and 5.6 assists, and now the pressure is going to be on him to increase those statistics due to the lucrative deal that he agreed to. In two years with the Dallas Mavericks, a bad knee kept small forward Chandler Parsons from reaching his full potential. But if Parsons is healthy, he could have a big impact in Memphis due to his shooting ability which compliments the playing style of Gasol, and Conley’s ability to penetrate into the paint. Small forward Vince Carter is 39-years of age, and although that he isn’t able to crank it up and thrown down thunderous dunks as often as he once did, he is still brings a tremendous skill set to the table, along with a plethora of NBA experience. And along with guard Tony Allen who is still a solid defender, Carter adds to the Grizzlies depth off of their bench. The Grizzlies will be a work in progress as the season goes along, but once the postseason rolls around, they will once again be a tough out. The past NBA season saw the Houston Rockets wilt under the lofty expectations that were thrust onto them. The Rockets made the Western Conference Finals in 2015 and there was hope within the organization that they could build off of that. But after a 4-7 start, the Rockets decided to part with head coach McHale. McHale would be replaced by J.B. Bickerstaff who was able to get the Rockets to the playoffs, but they could never rekindle the magic from the previous season. The Rockets have now turned to Mike D’Antoni to be their next head coach. In 12 seasons in the NBA as the head coach of the Denver Nuggets, Phoenix Suns, New York Knicks, and Los Angeles Lakers, D’Antoni has a record of 455-426. D’Antoni has six playoff appearances to his credit as his teams have been known to very offensive oriented. The Rockets scored 106.5 points per contest last season which was fourth in the NBA, but they surrendered 106.4 points game which was 25th in the league. And being that D’Antoni is now running the show in Houston, you can expect that trend to continue. When you think of Rockets shooting guard James Harden, you think of instant offense. Harden is always in the MVP discussion as he is one of the best scorers in the NBA. Harden averaged 29 points per contest last season, and in D’Antoni’s “fun and gun” offense, you can expect him to be off to the races. Harden averaged 7.5 assists last year, and you can expect him to play the point guard position more this season which should be very interesting. But aside from Harden, the Rockets don’t have any other players that can step up and put the team on their back. Small forward Trevor Ariza is a solid defender, and guard Patrick Beverly plays with tremendous heart, but will that be enough to make the Rockets a playoff team for a fifth consecutive year? Rockets general manager Daryl Morey is a huge proponent of analytics to build his team from which hasn’t been produced as many wins lately and it will once again be put to the test this season. Seven of the Rockets first eight games will be on the road which includes two meetings with the Dallas Mavericks, along with games against the Cleveland Cavaliers and San Antonio Spurs which won’t be a picnic. In 2015, it appeared as if the New Orleans Pelicans were destined for greatness until they shot themselves in the foot. The Pelicans made the playoffs for the first time in three years and they appeared ready for an upswing under head coach Monty Williams. But surprisingly, Williams was fired by the Pelicans and replaced with Alvin Gentry. Under Gentry, the Pelicans got off to a slow start last season with a record of 1-11 and they were unable to recover as they only managed to win 30 games. The Pelicans were also done in by injuries with their best player in center Anthony Davis missing 21 games. But as a new NBA season is set to begin, will the Pelicans be able to pick up their production in the Western Conference? Any chance that the Pelicans have for a turnaround begins with Davis. Davis is one of the NBA’s rising stars and he will be the MVP of the league at some point. If Davis is healthy, you can pencil him in to average at least 22 points and 10.5 rebounds per contest while he makes the players that are around him better due to the attention that he receives. Last year Gentry had Davis take more perimeter shots, but if he concentrates on his post game, there won’t be too many defenders in the NBA that will be able to stop him. The Pelicans will definitely miss the contributions of point guard Jrue Holiday who has stepped away from the basketball team to care for his wife as she deals with a brain tumor, and although that it won’t be easy, New Orleans will have to find a way to replace his production as he averaged 16.8 points and 6 rebounds last season. With Holiday away from the team, Tyreke Evans should see more time at point guard this year, and getting the basketball to Davis early and often should be his main priority. Shooting guard Buddy Hield was the Pelicans first-round past June and he should have an immediate impact. Hield comes to the NBA as a very decorated player which included him being the Naismith Player of the Year as the nation’s top men’s basketball player during the previous college basketball season as he averaged 25 points per game in helping the Oklahoma Sooners reach the Final Four this past April. Hield is one of the players that can heat up from behind the three-point line rather quickly and playing alongside Davis should see them help each other. The Pelicans should be a little bit better than last year, but being that the Southwest Division is one of the toughest in the NBA, they will be fighting an uphill battle as far as making the postseason in the spring. Really looking forward to this NBA season. I particularly want to see how D’Antoni will work in Houston. The Rockets will score, but Mike D’Antoni doesn’t focus on defense which will be there undoing.